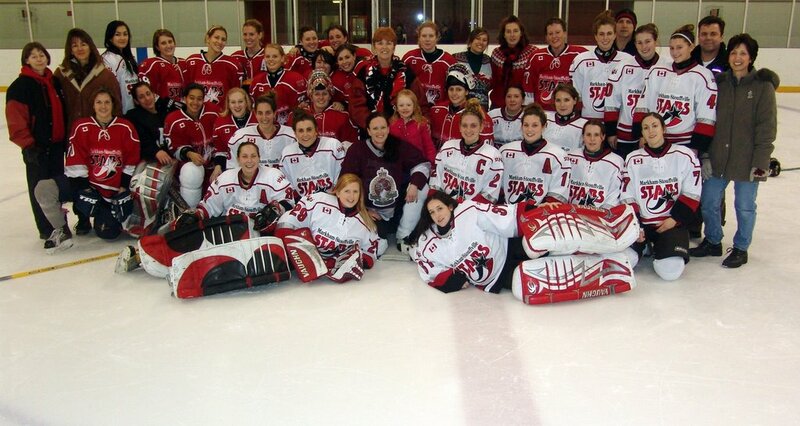 On Tuesday December 23rd, 2008 the SMGHA hosted the inaugural Alumni Jr. Stars Hockey Game. A group of Alumni Jr. Stars players took to the ice against the current Jr. Stars team. The event was very successful bringing some familiar faces back, and the game was quite entertaining. This promises to be an event that former and current Jr. Stars will look forward to for many years to come. All pictures from the event may be found in the following Photo Album. Thanks to the current Jr.Stars roster as well as the following Alumni for participating!